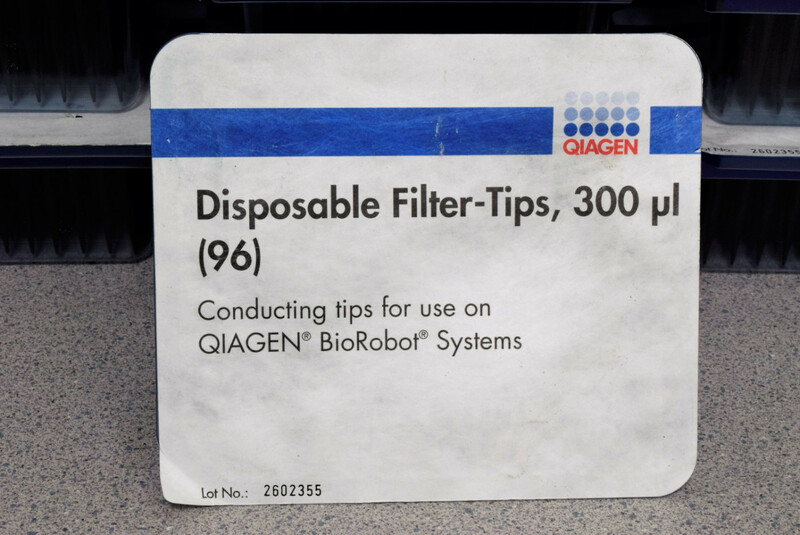 Qiagen Disposable Filter-Tips 300ul 96 Preps Cat. Number 9012599 (Lot of 18) . New Life Scientific, Inc. These disposable tips are for contamination free pipetting, for applications such as PCR setup. They are made of conducting material, allowing the liquid-handling system to sense when the tip has come into contact with the surface of the liquid. Made for Qiagen BioRobot Systems.